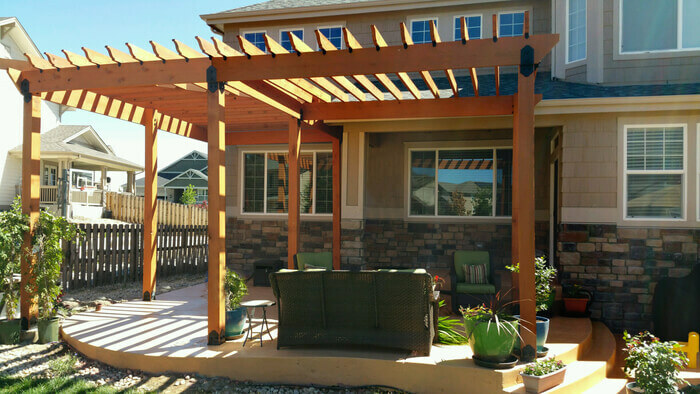 If your pergola is in a sunny area, adding a covering or something to provide shade can make it more pleasant. There is such a thing as too much of a good thing. That’s something I learned when I realized I’d put my pergola in the sunniest part of my yard. Those high noon rays left it near abandoned during the middle of the day, so I decided to look into options like covering it or adding an awning. That’s part of what I love about pergolas: their flexibility. Pergolas are a great option for a do-it-yourself shady spot because they provide cover, but you control how much. You can break up the sunlight with real or faux vines and plants. Or you can block it out entirely with fabric coverings. Either way, you can make your outdoor space usable again even on hot sunny days. There are a lot of clever pergola ideas for shade that will look great and last a long time, provided you use the right materials. Plant coverings: It’s a popular option to train vines to grow up the sides and across the top of a pergola. After a long period of growth, the plants create a natural and even opaque covering. This is an incredibly beautiful option, but it’s also something that takes time and a little bit of a green thumb. Only certain kinds of plants work on a pergola as they have to stand up to strong sunlight. Options that grow quickly include clematis, trumpet vine, and St. Vincent lilac. Wisteria, grapevines, and climbing roses are also beautiful additions to a pergola. But all of these take work and maintenance. If you’re not the best gardener, then a better option is to go with faux vines. Faux vines: A good way to fill out a pergola without waiting for plants to grow is to use faux plants. Today’s options are much more realistic than the plastic plants of the past. It’s very easy to find something extremely natural looking that, unlike a real plant, can stand up to poor weather and strong sunlight. Just remember to specifically purchase artificial plants designed for the outdoors as these are more resistant to fading. 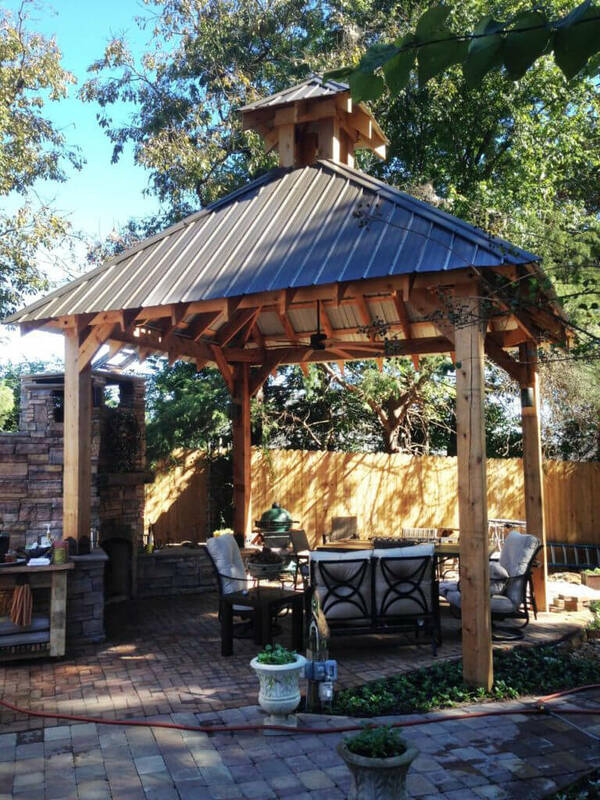 Canopies and coverings: Perhaps the fastest way to create shade in your pergola is to purchase a canopy or covering to put over it. Ideally, you’ll want a fabric that’s specifically designed to block UV rays and resist mildew, which is something you’ll get in synthetic fabrics like polyethylene fabric or polyester. 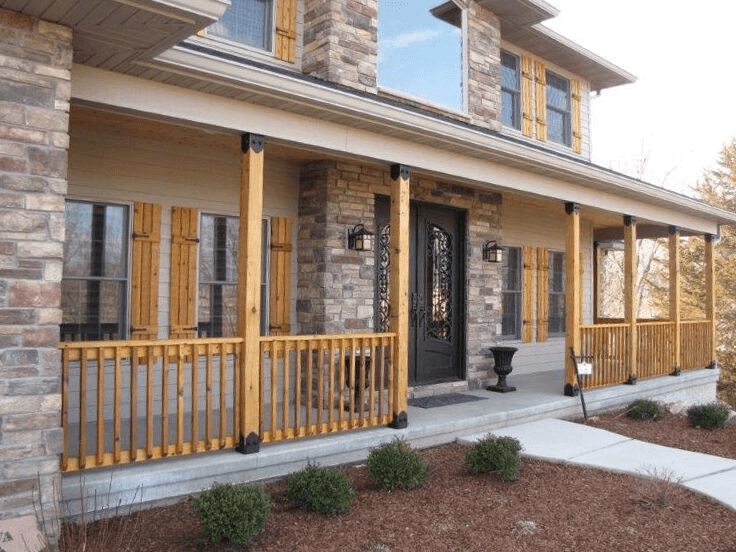 Your best bet is to purchase something specifically designed for pergolas as the designer will have taken issues with fading and harsh weather into account. These are available at many home improvement stores, as well as online. Fabric Draping: Fabric draping is a more versatile, customizable option for adding shade, and it offers a bit more movement and texture. If choose to drape fabric on your pergola, use the openings in your rafters to style the fabric. Clamps and strategic anchoring using small nails or thumbtacks will help get the draping to stay put, though it will take a few tries to get it just right. You’ll want to use a thinner material that allows more movement if you’re looking for a flowy, romantic look. Even though the material may be thinner, it’s still necessary to find something that will stand up against the elements. This is one of those times when you want to err away from natural fabrics and focus again on synthetics, as these fabrics resist fading longer. Awnings – If you want to take your shade a step further, you can also add an awning to the front. A standard awning that works on any other structure can be adapted for pergola use, or you can buy one specifically for pergolas. These are great if you’re having problems with sunlight coming in at an angle, as they generally shade the sides of the pergola as well as the roof. Awnings are easy to work with, and you can make them adjustable, allowing you to raise them when you don’t need them and drop them when you do. 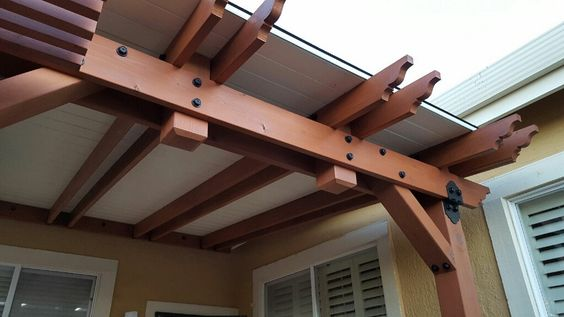 The type of material you use to add shade to your pergola may change your hardware and sealing needs for your pergola. 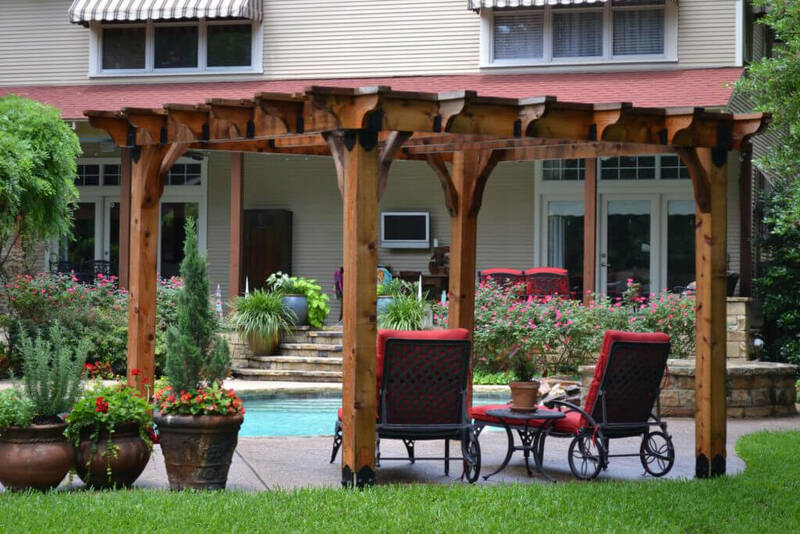 Here’s what to take into consideration when you’re designing a pergola for shade. 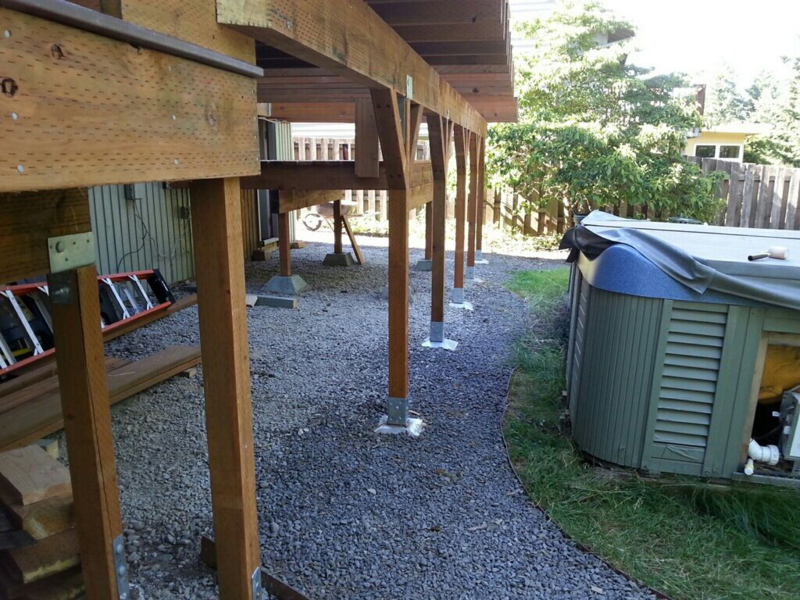 Depending on how you decide to cover your pergola, you’re going to have to make some changes to your foundation. Different covering materials will cause different issues that require a bit of preparation. 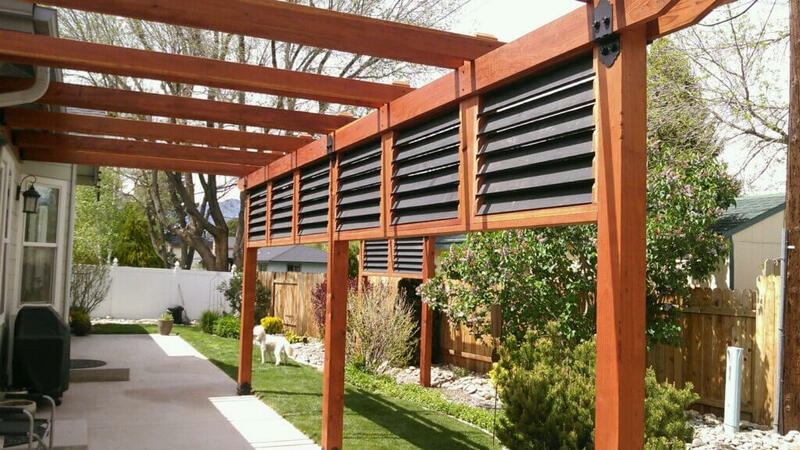 Here are a few things to consider according to what you choose to use to shade your pergola. Plants: Plants hold moisture against the wood of your pergola. 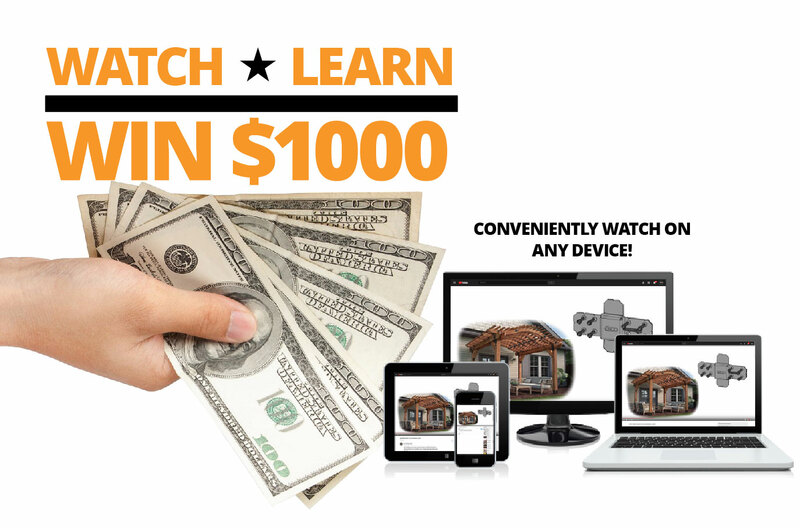 That means you stand a higher chance of hardware rust or damage from the consistent dampness. Be sure to use pergola hardware that’s resistant to rust, so you won’t have to replace it often. Rafter clips that use heavy gauge steel that’s been hot-dipped galvanized are best as they’re very tough and resistant to corrosion from moisture. Fabric covering: With fabric, you need to consider your stain as well as your hardware. 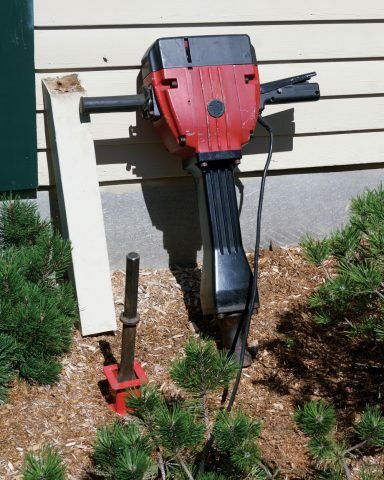 First, you’ll want hardware that doesn’t have sharp edges, to prevent snagging. But you’ll also want to think about sealing your pergola. If you don’t, and you decide to take that cover off someday, there’s going to be a notable difference between the wood that was covered and the wood that was exposed to the sun. To get around this, use a high quality, oil-based stain and sealer combination that won’t fade too much, and that will protect the wood from UV rays and moisture. Fabric draping: While draping is designed to look casual, it’s definitely not easy to keep together. Think of it the same way as curtains in that you’ll need tie-backs, but you’ll need tie-backs that hold the fabric in place even during bad weather. Small nails or tacks will work for this, but go with stainless steel or good quality galvanized steel that won’t corrode and leave rust stains on the fabric. Adding a covering to your pergola can make an outdoor space more inviting when the weather gets hot, like it’s starting to do where I live. 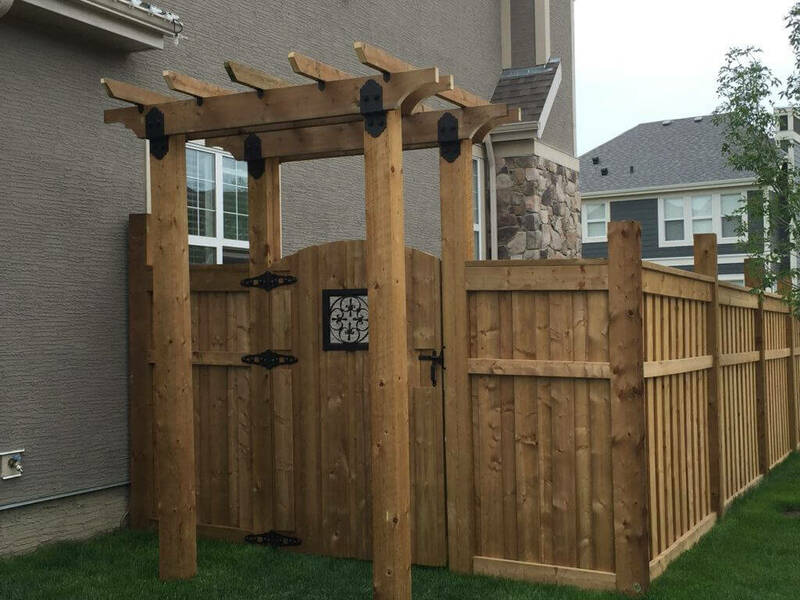 The key is in preparing your pergola so that the covering you choose won’t degrade your pergola or cause it to fade unevenly. Use weather-resistant materials and hardware with proven durability. 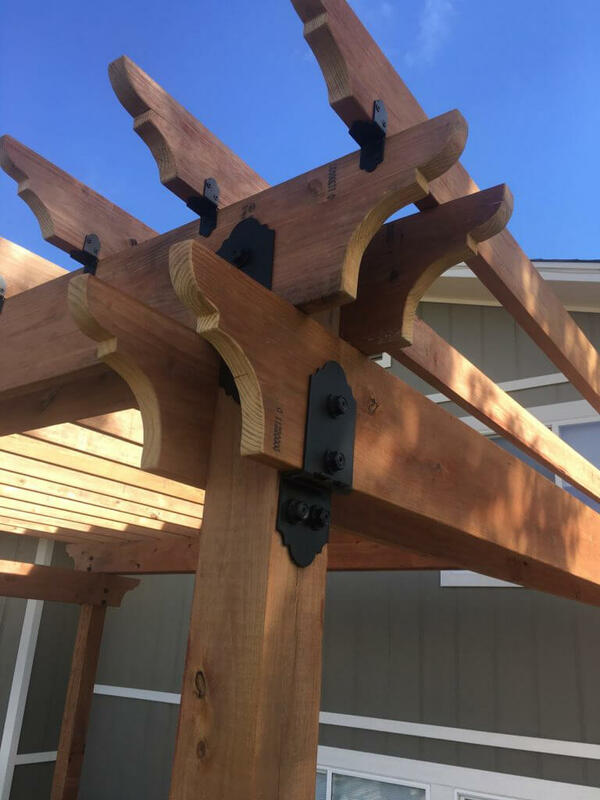 OZCO Building Products is a good place to find this type of hardware, as well as plans and tips for a gorgeous pergola, if you haven’t gotten started on yours yet. Whether you’re building from the bottom up, or just adding a few finishing touches, their diverse line of products offers durability, beauty, and easy installation, because they’re carefully designed and tested with the user in mind. 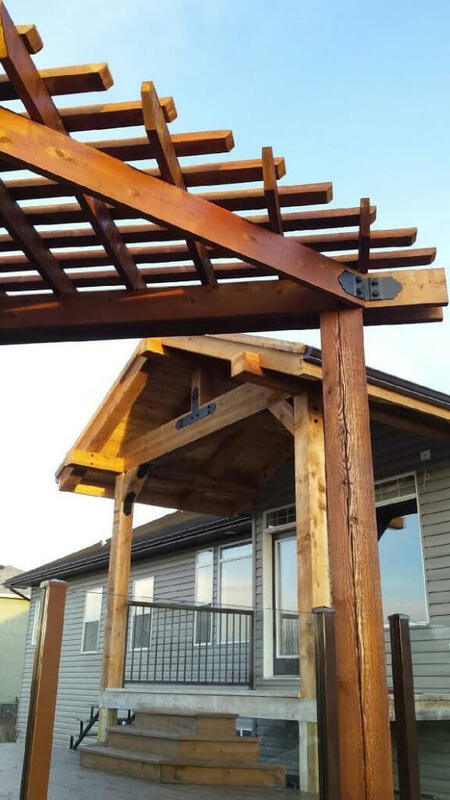 Don’t be afraid to get creative with ideas for covering your pergola. With the right hardware, stains, sealers, and other accessories, there’s virtually nothing you can’t make work. Tired of digging posts? Drive them in using OZ-Post.